I Always Loved You, by Robin Oliveira, is a novel that depicts the painter Mary Cassatt and her relationship with the painter, Edgar Degas. Mary Cassatt, was a masterful painter, and a woman who belonged to a group of artists known as “The Impressionists”. That she was able to be included in the group, which consisted mainly of men. Few women were “privileged” to gain acceptance to the group. The novel explores Cassatt’s career from its beginnings in Paris. She had moved to Paris from America in order to learn, hoping to become involved in the local artisan culture. It was there that she met Edgar Degas. He began encouraging her, and tried to help her gain acceptance in the world of Parisian art. The novel explores, not only Cassatt’s growth as a painter, but also explores the relationship between her and Degas. It was widely known that they had an affair that included its ups and downs. It was a roller coaster ride for both of them. For Mary it enhanced her painting, through her emotional attachment to Degas. Her paintings took on dimensions of beauty that illuminated emotional content. I Always Loved You also explores the world of “The Impressionists” of the time. It defines their commitment to their style, detailing their work in depth. Being an art lover, those descriptions captured my attention, and I thought they were vividly depicted. As far as the relationship between Cassatt and Degas, it seemed to me that they were both in love with each other, yet they both had difficulty conveying their feelings to each other. Their frustration and intense moments were separate compartments within their minds, leaving each one to wonder about the other person’s love. artistic endeavors. As artists, they were both brilliant. As individuals in a loving relationship, they seemed to have failed, not only each other, but themselves. I Always Loved You, is a novel that breathes not only time and place, but love and loss, loss of emotional relating. Never Let Me Go, by Kazuo Ishiguro, is a novel with a unique subject matter…which took me about fifty pages to understand. The book is a story line with disturbing ramifications imposed upon individuals. The main character and narrator is a person named Kathleen, and the reader is given insight into her background, little by little. She grew up in a school, known as Hailsham, in the English countryside, along with her two close friends Tom and Ruth. Kathleen, who is a “carer”, is a quiet, observant and listens to, and watches, the subtleties that are told to them by their school guardians. The guardians have a strict command over the children, and often treat them as if they were less than human. Once I understood the concept of the book, that issue infuriated me. We all have heard of orphanages and boarding schools that treat their students as if they were nonexistent, or treat them in an emotionally devoid manner. And, the resultant behavior of the adults forces a lifetime of emotional consequences on the children involved. Hailsham is just such a place. Its disciplinary and educational methods verge on the unethical. That is the overtone of Never Let Me Go, the fact that humans are extremely inhumane to others. The human condition is examined in depth, without Ishiguro actually mentioning it outright. The children are treated as less than human, less than animals. The signs are there, everywhere the children are, and each time they attempt to learn about their backgrounds. Ethics, science, humanity and conditioning are explored in depth through Kathleen’s observance and quietude. I am not divulging any of the story line, because to do so would definitely spoil it for the you, the reader/s of this review. You would know immediately what the story involves, and it is best that you don’t know. I will say that it is a disturbing book on so many levels, mainly beginning with humanity and the human condition. Ishiguro’s Never Let Me Go, had me questioning many things, and the whys and wherefores always came back to ethics. Science and ethics do not blend well within the pages, and I believe that is what Kazuo Ishiguro intended, as a whole, within the story. He wants the reader to ponder and question, to think about scientific advances and their merits and their flaws. Are they really advances, in the true sense. Are they really ethical? Do they really enhance life, or do they foster an attitude of disinterest in the outcomes in order to gain information? So many disturbing scenes were depicted, and lack of emotion for the children was illuminated within the pages. It was not a happy read, not a positive read, but one that was not only sad, but extremely tragic. Read Never Let Me Go, and let me know your thoughts. 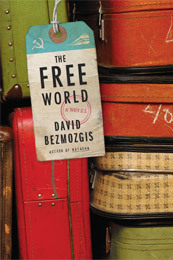 The Free World, by David Bezmozgis, is a captivating novel that entails the emigration of Latvian and Soviet Jews, specifically during the late 1970s when some were permitted to leave. In 1978 the Krasnansky family has decided to leave, and their journey takes them to Rome, where they must wait for visas to continue on to the United States, or possibly Canada. The elder Samuil Krasnansky is a diehard communist, and decorated war hero for his service while in the Red Army. Emma, his wife, is also there, as are their two sons, Alec and Karl. The two brothers, are as different as they can be in their political and social spheres. Alec is a roamer, a womanizer, married to Polina. He seemingly cares little about the circumstances surrounding their journey. Karl, on the other hand is a staunch capitalist, ever involved within the circle of individuals he encounters in Rome. Life is not always as it seems for the two of them. Through some humorous twists of fate, Alec feels he is being pursued by female interests, when in fact it turns out to be otherwise. There are other laugh-out-loud lines and scenarious within the pages, such as Samuil’s reaction to a rendering of Fiddler on the Roof. Yet, withing the comic relief, the story line is one wrought with varied ideals, and varied perspectives of freedom, and what it actually means. Bezmozgis is brilliant in depicting the mindsets of the characters. I didn’t necessarily like the characters, and found them to be flawed in many aspects. But, I still enjoyed reading The Free World, for its historical factor, and for how the author depicted the lives of the individuals. We are all a part of the whole, no matter our choices, our mindsets and our differences. We are all flawed, and no one individual is perfect in the scheme of things. Due to Samuil’s health, the family is forced to stay in Rome longer than expected. Their visas are on the line during this time period. Their freedom to journey forward, physically, is hindered by his health. Yes, they could have forged forward, and he could have emigrated at a later point in time, but the familial hold was a strong one, despite the disparities and lack of similarities within the family members. The story line reflects back and forth, and there are back stories of each of the characters. The book spans decades of familial uprising and social standings. The decades infuse the dynamics of revolution and war quite vividly. This brings into focus why they act the way they do, and also gives the reader a sense of their lives before departing for Rome, and the choices they made beforehand. The roller coaster ride the family finds themselves on only enhances their feelings of suffocation in a city that they were supposed to be temporarily involved in, waiting for the chance to leave. Freedom takes on new meanings, from emotional stifling to physical stand stills. The book had me questioning the defining of freedom and the “the free world”. Is there such a place on the planet where a person can be truly free? Does “the free world” exist, or is it just a euphemism for the areas that were located outside of the realm of the communist states. One might live a life in a non-communist environment, but does that mean they are free? Freedom takes on many forms, not the least being emotional constraints. Before reading this book, I had no idea that there was a “way station” so to speak, in Rome, where emigres had to wait for visas. The daily interactions and emotional aspects of the waiting period is highly illuminated within the pages. The emotional struggles are brought to the forefront. The Free World: A Novel, by David Bezmozgis, is a well-formed study and metaphor for freedom and autonomy, within familial dynamics. The visuals are strong, as are the insights into the emotions of the characters. The historical aspect is an important one, in my opinion. I would rate The Free World a 4 with 5 being the highest. Snapshots, by Michal Govrin is a novel that examines Judaism, love, fulfillment, motherhood, zionism, war, and so much more. We are given not only physical photographs/snapshots, but descriptive prose that brings us a personal perspective of the issues and affairs in the state of Israel, through one woman’s often confused, determined, conflicted and blinded eyes. The protagonist is Ilana Tsuriel, and we are given snippets and snapshots of her life through photographs, drawings, letters, and scrawled journal entries, most of which are written to her recently deceased father (her way of saying Kaddish for him), and is her way of staying close to him. Her father helped to build the state of Israel. She has a deep sense of social responsibility and a deep sense of personal fulfillment, and we feel the human element throughout Snapshots. Tsuriel is a mother, the wife of a Holocaust historian, an architect, the daughter of a pioneer of Israel, and she is also a woman who has had several affairs, including one with a Palestinian named Sayyid. The novel takes place during the first Gulf War, and Tsuriel’s passion to reunite with her Palestinian lover, and her steadfast and determined passion to continue on with her architectural project, sees her moving to Israel with her two young sons (during the beginnings of the war), against the wishes of her husband. Her project is a unique monument, and is one with a serene setting, where Sukkot-like huts on a hillside overlook the valley, where one can go on sabbatical to reflect and feel free from life stresses, where those of diverse backgrounds can come together, peacefully. Tsuriel is trying to accomplish this during a turbulent and relentless time period, often appearing as though she is not fully cognizant of the ongoing problems surrounding her and her children. Tsuriel, although seemingly aware of the situation she is putting her children through, feels it is important for them to understand the sense of time, place and Homeland in Israel. She doesn’t completely face the gravity and reality of the situation, the war and the ongoing devastation. The perils of war seem to play a minor role in her scheme of things, as they don’t sway her from her goals. She is a strong-willed woman, and one who seems to want to fulfill her goals at all costs. Tsuriel is causing her sons to feel alienated from her, feeling the insecurities of war, and the insecurities of a mother who they feel is not often there for them, emotionally. They have food, shelter, clothes, yet what they crave is her full attention. They need to feel secure. And, she isn’t there to bring them emotional security and support, due to her overzealous passions for her project. She is a woman at odds with herself, her marriage, her children, and constantly in a state of confusion as to priorities. Tsuriel feels Jewishness and its responsibility within her, and tries to convey it to her children. Yet, on the first anniversary of her father’s death, she doesn’t visit the cemetery, leave a stone, light a candle or say Kaddish for him. Her Jewishness has visions of grandeur, and it has boundaries, both emotional and political. Govrin’s attempts to contain so much content in one novel, often whitewashing the moments, like a negative not completely developed, are realized. And, that is the foundation of the novel, the snapshots of life that we are given, in haphazard and scrawling script, bits and pieces of life written during time of war, in almost frantic and desperate fashion anywhere, everywhere, when the mood strikes her. Snapshots is a well-written book of imagery, both word paintings and actual photographs. Michal Govrin has the ability to bring vivid scenarios to our minds, filling all of our senses, through the depressing pages of Snapshots. The book is not a light and airy read, and it is not a quick read. I had to put it down and take a break from it, several times, before going back to it. It was almost a chore to finish (due to the dismal and non-uplifting content), even though it was well-written. It is insightful into the human condition, and its vivid presence in emotional and physical lives. In my opinion Snapshots is a metaphor for confusion, both emotional, social, religious and political. A Heartbeat Away, by Harry Kraus was an interesting read, from a unique perspective. Tori Taylor is an oncology surgeon, who has been given a heart transplant. From the moment she wakes up from surgery, her life begins to take twists and turns. The person she was prior to surgery changes, as far as emotions and warmth is concerned. Immediately upon waking up she remembers the nightmare she had, before being given medication for pain. She has always been a cold person, and one that her peers, friends and others, could not get close to, emotionally speaking. She thrived on this, felt in control, and often became verbally abusive to the hospital staff members. Due to her verbal harassment, she was more or less put on probation, and told to recuperate and not return to work for three months. During her time recovering, her nightmares become intense, violent and she begins to feel as if the people in her nightmare are trying to tell her something, especially one person named Dakota. The nightmares are not only real, but border on memories, repressed or otherwise, meaning “transplant memories”. The nightmare events start to take hold on her, and through much investigation, she finds out about her donor. From there the story unfolds in more dramatic fashion, transcending realms of Being. I can not say much more regarding the story line without revealing the plot and outcome. You will have to read it for yourself. What I will say is this: A Heartbeat Away will leave you with questions. I found myself questioning the idea, never mind the reality, of “transplant memories”. The idea doesn’t seem far-fetched to me. It would be like me remembering something from an ancestor’s past from one hundred or more years ago, under the label of “genetic memory”. The only difference is that the memories are not passed along genetic lines, but rather through lines of organ transplantation. Faith is a strong theme within the pages, especially regarding religion and science. Can the two exist companionably within one’s spiritual realm? You tell me. I have my own theory. As far as the faith angle is concerned, a lot of it put me off. I feel the story would have been better without it, or with less of it, but understand why the author infused it in the book. 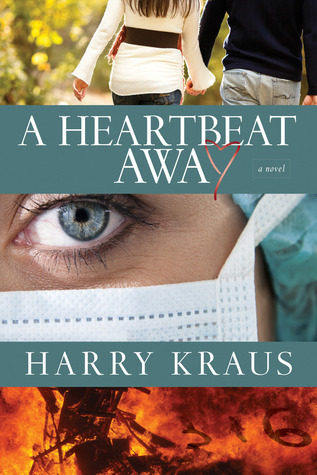 A Heartbeat Away, by Harry Kraus is a story with an unusual twist. I felt that he managed to delve into the emotional versus logical aspect quite expertly. If I were to rate the novel, I would give it 3.5 out of 5 stars. I sat down to read Under the Wide and Starry Sky: A Novel, by Nancy Horan, with positive expectations of a good read. The subject matter appealed to me: a love story regarding Fanny Van de Grift Osbourne and the writer Robert Louis Stevenson. Having read Stevenson’s works throughout the years, I was looking forward to the novel, of almost 500 pages, which opens regarding Osbourne’s leaving her husband behind in America, and traveling to Belgium with her three children to begin a career in the art world. Her son’s illness sees her in the countryside of France, for recovery, and there she meets with Robert, the cousin of Stevenson. As we delve a bit further through the pages, the reader is taken to the moment that Osbourne meets Stevenson (known as Louis) and is introduced to him. From there begins a story of their relationship, which eventually turns to marriage. Their relationship is a tempestuous one, filled with emotional ups and downs, ill health regarding all parties, and twists and turns as far as reconciliation with her husband, which she does try to do, but eventually returns to Europe and back to the waiting arms of Louis. Her interactions with Louis and his career seem to foster a need for her to prove herself an equal, in an age when women were looked upon as less than equal to men. Societal mores were strong, and I think this played a role in her ability to stand her ground among those who were frowning upon her behavior and goals. It seemed to me that society and strict ideals played a part in Osbourne’s lack of emotional strength, along with Stevenson’s poor health. Osbourne seems to me to have been a bit mentally unstable. She didn’t cope well with the mundane, although she did nurse Stevenson back to health on a few occasions. He was not a healthy man, to say the least, and in my opinion it became too much for her to handle, causing her to break down, emotionally. Horan’s research is strongly apparent within the book, regarding events, through documentations, letters, journal entries, etc. Her command of evoking illuminating word-images is strong. Her ability to capture a scene of time and place is brilliant, as is her strength in emitting prose that fills the senses. Horan’s scenarios regarding their travels were quite vivid and breathtaking, especially pertaining to the South Seas. She was masterful in creating those images. I could understand Stevenson’s desire to write the novels he did, after exploring their natural beauty and wonder. Yet, that was not enough to establish me in their lives. For one thing, I thought that there could have been two distinct novels, one for Osbourne and one for Stevenson. I felt the back and forth interplay of both of their lives a bit too much. I would much rather the novel had been told from one specific point of view, regarding one person and their life moments, including their relationship with the other person. I was disappointed, although Nancy Horan’s writing and depictions are highly illuminating, as is her documentation. I was expecting more from Under the Wide and Starry Sky: A Novel, than I received. Sometimes that happens, and this was one of those times.